September 1985, Joanne Wilson, living with her boyfriend in Amsterdam, disappears. A few weeks later, bodyparts are found in the Willemsluizen (IJ, behind Central station). Lees hier deel 1 in Nederlands: link. A cold case that never was properly investigated. 1. On Tuesday September 10 1985, Joanne meets Louis Hagemann at Amsterdam Central Station at about 16.00h. Joanne and Louis indeed have met, as friend Penny walked with her towards CS. This is the last time she has been seen. After September 10, there have been rumours about where she was, but all of these were indirect and “talk-on-the-street”. September 7, Joanne Wilson is fired at Hotel Kabul, because her working permit will expire per October 1 (she still has vacation days). Manager René Wijngaarden pays her the Fl. 650,- he ows her. Likely, she spends September 8 with boyfriend Steve. On September 10 the amount of Fl. 650,- is deposited in Joanne Wilsons’s bank account at the “Verenigde Spaarbanken” in Amsterdam. To make a deposit, one needs both the money (of course), and a banking notebook with deposit cards. Likely, Joanne made the deposit herself on Tuesday in the morning. It is unclear why she did not make a deposit on Monday September 9. Actually, it is unclear what she did on September 9. Did she even sleep at home September 9-10? When studying the testimony of Steve, it seems he believes Joanne left the house on Monday around 1300h to meet Penny (and this is then the last day he saw her). Penny meets Joanne at around 1300h on September 10. This can mean two things: a) Steve confuses Monday with Tuesday, which is not uncommon for people with a profession in which weekend days are actually working days. Or b) Joanne somehow was lost a day between Monday 9 @1300 and Tuesday 10 @1300h, but Penny must know this! Oddly, on September 10, a criminal informant (number #300) makes a statement to the police about a missing girl Joanne Wilson, even though at that time she wasnot missing yet. Beside describing Joanne Wilson as someone who sleeps around and is actively involved in the drug scene (which is standard practice for secret service agents, to damage the reputation of any woman), he reveals information that is personal: 1. He (or she?) knows she didnot sleep at home Monday evening 9 September. 2. He shares a picture of Joanne Wilson. 3. He declares her a missing person. 4. He knows she left her passport and belongings with Steve. 5. He describes her body in detail, full naked. September 10 around lunchtime, Joanne goes to the pub AVC in the Warmoestraat in Amsterdam. Boyfriend Steve frequently works there as a bartender, but not that day. In the pub are (among others) the bartender, the kitchen chef, a girl called Mandy Moore (from UK, living in NL in Warmoestraat), and Louis Hagemann (NL). At 1300h a colleague from Hotel Kabul arrives. She is a friend: Penny (HongKong). Penny heard at the Hotel Kabul how Joanne has been fired and wanted to speak to her about “How to get some social benefits in the Netherlands”. They have some drinks. Louis talked with Joanne at the pub and he leaves at 15.00h or 15.30h. September 13, boyfriend Steve officially reports Joanne Wilson a missing person. September 17 or 18, two police officers conducted a neighbourhood search in Warmoestraat. They learn Joanne has been seen in Amsterdam Bijlmer. This might be true, but just as likely, it was a smoke screen. Around the same time, a police officer called Theunissen, tells boyfriend Steve, how he saw Joanne Wilson in company of two black man in the Bijlmermeer area of Amsterdam. She was beaten in her face. [I wonder why the officer didnot do anything. This might be true, but just as likely, it was a smoke screen.]. As a result, Steve spends the next ten days wondering around the Bijlmermeer area looking for Joanne Wilson. Oddly, on October 17, the informant #300 again is able to give an update to the police about what Steve has done. He knows with whom Steve has been looking for Joanne and where. He knows Steve obtained a gun from the Hell’s Angels to support him in his search. This informant slanders everyone involved, including Joanne, Steve and Louis. 2. Like in the Anouschka Weezenbeek murder case, Peter R de Vries seems to have made some mistakes, when representing the case of Joanne Wilson to the public. Why is that? Joanne walked towards Central Station to meet Louis on September 10 [not 20!]. He suggests Joanne meets Louis as some sort of “date”, while she has a boyfriend. With the limited info available, surprisingly he doesnot even mention she got just fired. 3. I know Peter R de Vries sometimes helps to (not solve, but) cover-up, when crimes are committed by high-profile criminals. There are signs this is the case with Joanne Wilson. 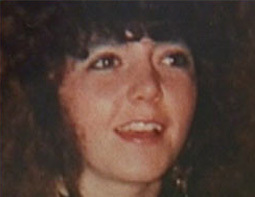 The way her body was cut in pieces is similar to other unsolved murder cases in NL. Bodyparts were dumped in the Willemsluizen, a central location, and twice, a week in between, in that same location: like who-ever did this believes he can not be caught. There was hardly any media attention nor was her murder properly investigated. 4. What are odd details in this story that might reveal how they have worked to catch her? She worked as a chambermaid in hotel Kabul in the Warmoestraat, which is an area where professionals might “hunt” for girls who “never will be missed”. Mind you, Joanne Wilson worked in a hotel and was not a prostitute, nor without social contacts! She was fired a few days before she disappeared, which makes someone an easy target. On Tuesday the Fl. 650,- is deposited to the bank, while Joanne left the house Monday. An anonymous informant #300 is way too well-informed on the situation around missing person Joanne Wilson (he reports her missing on September 10!). He already knows also, she did not take her passport with her on Monday! Oddly, he even describes her pubical hair, but says it is red/brown, not consistent with Steve. Friend Penny, with whom she walked to CS, had planned to go swimming on 12/9. Steve and friend Penny refer to the same “day she went missing” differently, as respectively Monday (Joanne goes to see Penny) and Tuesday (Penny meets Joanne). Police officer (!) Johannes Theunissen might have said he saw Joanne in Bijlmermeer? Louis goes looking for Joanne together with Steve, because he is worried (or perhaps to make sure no-one will tell Steve honestly where she really is?). Mandy Moore, a closer friend of Joanne Wilson, has not been questioned at all? The anonymous informant #300 remains well-informed about Steve’s attempts to find Joanne Wilson. Either they are followed, the informant is Steve, or Steve is with #300. In my opinion, this has been the work of a larger group of organized criminals. Hotel Kabul is told they must fire her, on exactly that day: September 7. As a result, Joanne is open for certain suggestions. When someone promises a job interview? And her bank office can expect a visit from her to deposit the Fl. 650,-m likely on Monday September 9. Did they ask for her passport too? Louis (or someone else) Sept 10, tells her she can drop-by later at a hotel for a job? She meets Louis at Central Station, perhaps so they can walk together to a bar/hotel/restaurant, opposite the station, in order to meet someone with the promise of a job interview? Joanna will likely simply follow Louis -or anyone- keen for new job opportunities. Moreover, most people don’t tell everyone about a job interview. A job interview on the same day, is typically the kind of meeting one might keep quiet about? There are many bars, hotels and restaurants around Central Station. Traffic is such, most people will not remember who they have seen walking down the street. This also explains why Joanna doesnot tell friends what the appointment is about: Most people do not talk about job interviews they have. When inside a hotel, somewhere quiet end of a hallway, her abduction is a fact? In this scenario, Louis Hageman is a criminal informant / secret service agent. Also former colleague Penny might be better informed than she suggests. Again, I do not know what happened to Joanne Wilson. 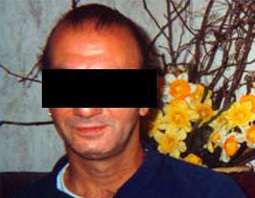 What I do know, is that there has been many very similar murder cases in the Netherlands over the past 25-30 years. Most of these cases remain unsolved. It should stop. ps. Ik houd het voor mogelijk, dat Louis H. een Joanne Wilson onder valse voorwendselen meeneemt (uitnodigt), om haar hiermee uit te leveren aan haar moordenaars. Ik sluit het uit dat een Louis H. zo dom is om zelfstandig a) Joanne Wilson te ontvoeren op een moment dat iedereen weet dat hij met haar afgesproken heeft, en dan b) haar lichaam te bewaren en op meerdere momenten langzaam te dumpen op plaatsen niet ver van zijn huis. Wat is de kans dat een politie hem volgt, bij hem aanbelt en zijn huis laat doorzoeken? Hij is immers al een bekende van de politie. Als Louis H. een rol heeft gespeeld, dan is dat in opdracht geweest van lieden “higher-up the food chain”. pps. Informant #300 vertelt in PV’s dat de vriend van Joanne Wilson een grote drugsdealer is, maar in werkelijkheid werkt hij als barman. Ik kan niet beoordelen of Steve tijdens zijn werk als barman ook wat drugs verkocht heeft, maar een grote drugsdealer kan hij niet geweest zijn. Het is waarschijnlijk een leugen. Informant #300 vertelt ook in de PV’s dat Joanne Wilson “met iedereen naar bed gaat” en “bij drugdeals aanwezig is geweest”. Dergelijke omschrijvingen zijn typisch voor geheime dienst criminelen, om zo de status van een vrouw te verlagen. Als zij een slet zou zijn geweest en aan harddrugs verslaafd, zien veel BVD-ers dat als een excuus (zie de moordgolf onder tippelaarsters in Groningen) om een vrouw te ontvoeren/verkrachten/vermoorden. Dat werkt dan helaas ook omgekeerd. Als er een plan is om een vrouw te ontvoeren/verkrachten/vermoorden omdat zij bij iemand in de smaak valt, dan zullen informanten deze taal uitslaan om het excuus te creëren. Het verhaal wordt gecreëerd. Below an old picture of Kinkerstraat 186 (at the Ten Katestraat). On the right, number 184 can partly be seen. Wilson might have lived on number 182, instead of number 282. This entry was posted in Joanne Wilson, Politie and tagged 1 oktober 1985, 10 september 1985, 14 maart 1965, Amsterdam, CS, IJ, joanna, Joanne, Louis Hagemann, Noord, slagerij, station, Wilson. Bookmark the permalink. Maud, ergens schrijf je dat Bont in Groningen en Joanne Wilson (1985) in Amsterdam beide boven een slagerij ofzo wonen. Dat lijkt me wel erg toevallig. Zoveel slagerijen zijn er niet namelijk. Als iedereen toch helemaal fout is, dan moeten we eens denken aan wat lekker makkelijk is voor een groepje foute lui. Lekker makkelijk is het volgende. De politie doet gezellig mee. De enige slagerij in de Kinkerstraat die ik weet is Kema en die zitten er 30 jaar nu. Op nummer 182 in de Kinkerstraat. Kijk maar eens in de Joanne Wilson papieren of je dat vindt…. Goed, wat ze de hele tijd doen, is dat ze de laatste afspraken nep laten zijn. Ze is dan al eerder ontvoerd enzo. Dus ze is never niet nooit niet naar het CS station geweest. Dus dat verhaal over een sollicitatie klopt ook niet. Het zou ook opvallen namelijk. Iemand die naar een nieuwe plek gaat, die kijkt veel rond en zoekt en vraagt de weg enzo. Dus dat doen ze niet, want dan is de kans te groot dat iemand het ziet. Ze moeten dus een verhaal hebben, wat logisch klinkt, maar wat niemand gezien heeft. Dan vullen ze dat aan met getuigen die liegen en die dus meedoen met het complot. Dikke vette kans dat ze nooit op 10 september naar het CS geweest is en ook nooit naar dat café geweest is. Al die vrienden van haar liegen daarover. Puur zodat niemand naar de juiste lokaties zoekt. Dan blijven er 3 dingen over, waar dus niemand gaat zoeken. 1. De bank waar ze haar geld brengt op maandag al. 2. Penny waar ze zei dat ze heen zou gaan. 3. In haar eigen huis. Steve en al die lui doen mee. Ze is bijvoorbeeld gewoon in haar eigen huis op 7 september al gepakt en daarna vastgehouden. Al die lui liegen dan, want het moet gewoon een geheime dienst shitzooi zijn. Zeker omdat de politie duidelijk vaag doet en slordig en de informant van 300 niet noemt enzo. 7 september is ook zo’n dag volgens mij. Vaste feestdag om meisjes kapot te maken. Gezellig. Dan houden ze haar daar vast en dan ruimen ze haar op via de slagerij een week later. Waarom? Ik denk dat het uitbenen van meisjes niet occult is, dat is praktisch. En wat typisch is, ze houden het hoofd. De vraag is of dat een aandenken is, of dat ze worden vermoord op een speciale manier. Ik moest daaraan denken, omdat je zoveel kindermoorden had met doodsoorzaak onbekend. Als de iets doen met vacuum zuigen van het hoofd ofzo, of klem rondom het hoofd zetten, zoiets, dan moeten ze dat daarna verbergen. Of ze bewaren die hoofden van die meisjes ergens als aandenken. Vies he. Mij verbaast genitaal niets meer. Volgens de politierapporten zou Wilson met Steve wonen op K-straat 282 2 hoog. Ze is geboren 14 maart 1963. Jouw slagerij zit heden ten dage op 182. Die doen ook horecaleveringen en ze zitten er al sinds de jaren 80, dus qua timing kan het, Maar het gebouw ziet er nieuw uit. Ik heb even gekeken naar wie er op 284 een winkel heeft: Nusselein Juweliers, zitten er al eeuwen. Op nummer 282 zit nu iets anders, dat is waar ze zouden wonen, volgens de politie. Er zit overigens ook een slagerij op Kinkerstraat 92. Schaft heet die. Op nummer 282 zit nu een bruidsjurken atelier. Dat pand ziet er ook niet uit alsof er een slagerij gezeten heeft. Kan aan mij liggen. Hoewel, je kan vanaf de winkel wel goed zien wie er naar binnen gaat en dat is wat de slager getuigde ook. Ze had een bankrekening bij de Verenigde Spaarbanken op de hoek Kinkerstraat met Ten Katestraat. En in het (*korte) procesverbaal waarin ze de slager vragen of hij Steve of Joanne misschien gezien heeft, daar vergeten ze de naam van de slager te noemen. Tja, zo kan je inderdaad niet achterhalen waar ze wonen, op nummer 83, 182 of 282. Het is te dicht bij mekaar. Jij hebt een bron die zegt dat het 182 was? Lieve mensen, de politie loopt ons inderdaad wat slordig te werk te gaan. Ik heb het nagebeld. Op Kinkerstraat 282 zat in die tijd ook een slager, genaamd Klaver. Echter, de familie Wilson woonde wel degelijk op nummer 182, volgens mijn bronnen. Op zowel nummer 182 als op 282 zat een slager en dan voorin de Kinkerstraat zit nog slagerij Schaft. De politie zegt dat het de slager op 282 was in het PV, maar het zou dus de slager op nummer 182 zijn geweest. Dan woonden ze dus op 182 2 hoog. Het is zo goed als op de hoek met de Ten Katestraat, waar dus de bank zat. Bank en woning zitten in dat geval zo ongeveer op hetzelfde kruispunt. Als het waar is, dat ze 650 gulden heeft gekregen (zelfs dat weten we niet 100% zeker), dan zal ze dat bedrag gelijk op de bank zetten. Het is bij de voordeur bijna. Maar als ze is ontvoerd bij de bank, dan moet Steve erin zitten. Want je kan als bank zijnde het risico niet nemen anders. De buren van de bank zullen het meisje van gezicht kennen en dan is het ineens een stuk lastiger, als bij een klant die niemand verder kent. Zeker een jong vrolijk meisje van 22 jaar ofzo. Wat klopt er allemaal niet bij de politie verbalen? Ik heb dat elders al geïnventariseerd, maar deze kan er dan nog weer bij. Overigens zat slagerij KEMA vroeger in een kleine pijpelaar, maar dat is nu een nieuw gebouw geworden. Kinderstraat 83, want Schaft is verhuisd in 1999. Dat kan dus verwarrend zijn, met leveringen enzo, denk ik me in. Het rare is, slagerij Schaft zat pal tegenover de 3 huizen van Mary Run in Amsterdam (die ze verhuurde) aan de Kinkerstraat 106 en 108. Mary Run in met Henk Opentij vermoord in Amsterdam-Noord in 1999. Het is raar dat die vriend niet eerder alarm geslagen heeft. Ook raar, dat die vriend de familie van Joanne niet gewaarschuwd heeft. Die bel je toch als eerste? FF phonen. Als Joanne iemand belt, dan zou dat haar familie zijn. En dan gaat hijzelf logeren bij een vriend aan de Bredeweg 19-1 hoog? Ook dat is niet logisch als je vriendin zoek is. Dan wil je thuis blijven, want je zoekt naar clues in dat huis en voor het geval ze misschien contact zoekt !!! Dit klinkt niet als een bezorgde jongen, gewoon niet. – Vermissing laat vermeld wordt en laat opgepakt door politie. – In PVs verkeerd adres opgenomen is 282 ipv vermoedelijk 182. – Moeder van niets weet in Engeland (zorgde Steve voor). – Haar vader was gescheiden van haar moeder en geheel uit beeld. – Steve logeert bij een vriend van hem. – De media niet geïnformeerd is over een vermissing (buren letten niet extra op). – Alle vrienden betrokken zijn in die scene in de Warmoestraat. – Pas op 20 september is een politieman volgens PV in de woning van Steve en Joanne geweest. Dat is rijkelijk laat. Gewoon te laat. Daarvoor kwam Steve naar het bureau om vermissing op te geven. Als ze dan vlak daarna het hele pand afbreken en er een nieuw pand neerzetten, dan zijn er helemaal geen sporen meer. Bredeweg 19 is in Oost bij de Middenweg en Frankendael. Bredeweg 19-1 dat is dus weer 119 eigenlijk. Wat mij opvalt aan de verklaring van Steve, is dat hij afsluit met de opmerking dat hij geen enkel bezwaar heeft tegen doorzoeking van zijn woning. Het kost de politie namelijk geen enkele moeite om een huiszoeking te regelen bij een vermissing van een vrouw na een ruzie met haar vriend in hun eigen huis. Dat is simpel, logisch. Dus de politie heeft die opmerking niet nodig. Beetje raar. Ik ga dan bijna het tegenovergestelde denken.